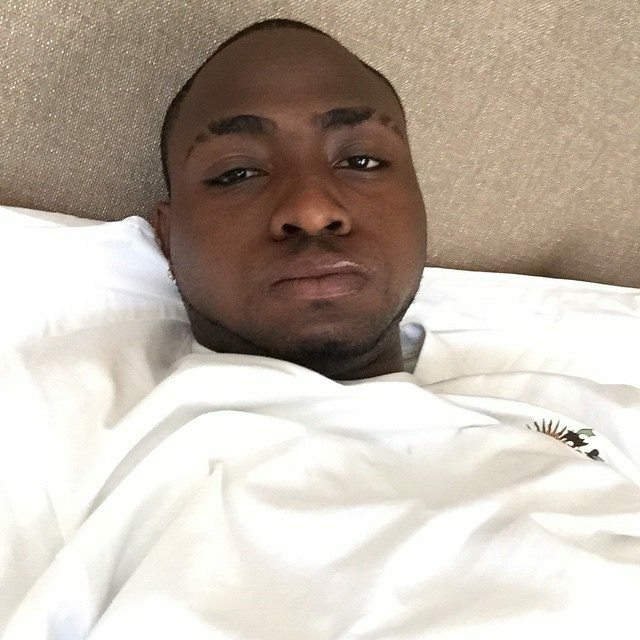 The choice of the rude Nigerian superstar who got bored with a few hours of being in Malawi, Davido, for an advert by public broadcaster Malawi Broadcasting Corporation has come under fire. A status update from urban musician Fredokiss has wondered why the MBC Innovation awards which are being said to be 100% local are being advertised with the music of the Nigerian superstar in the background. “Imagibe MBC Tv has an advert of some local awards called ‘Innovations Awards’ with a Nigerian song in the background and they are saying the awards are pure Malawian,” posted Fredokiss mocking the mediocrity that has become rampant at the Public Broadcaster. The remarks by Fredokiss have also been echoed by Sam Smakweli who has wondered why the public broadcaster has decided to use a foreign artist on local awards. The remarks were echoed by the people who commented on the statuses with some wondering if other countries would use a Malawian song for national awards. The MBC Innovation Awards will be attended by President Mutharika at the College of Medicine in Blantyre. Holy ghost fire!! !..may god panish hu xo evr came with that idea at mbc. I even asked my wife the same question…..
Are you business man/woman, politician, musician, soccer player or student and you want to be rich, powerful and be famous in life. Come be a member of the Illuminati Brotherhood and Achieve your Dreams…Contact us illuminati_temple@foxmail.com now. what is our problem malawians…..we do respct much diz so called foreign artist….we shoe dem lov bt what we paid bak is jst noting….we hv to wake up & push our own local musicians 4rward….Dis is why we find it tough to watch our artist on top Tvs….zinazi tikumaziyamba tokha…..mufuna oyimbawa akaimba zokudandaulani muziwamanga??????? I am so happy that i have to tell the whole world how i was cured from HIV.I never knew there was a cure till i came across a story of how a lady was cured of HIV by an herbal doctor called dr.IKUKU.I have been living a hopeless like since i tested positive.I contacted him and started taking his herb.Exactly 3 weeks he told me to go for a check up,i went and was confirm negative.It was shocking to me till series other tests still prove that i was negative.Till today i am still negative.All thanks to dr IKUKU.You can contact him if you have any troubling sickness. This is real,he cured me and can still cure you. Would you hear a Malawian song on such events in Nigeria..? Malawi wake up! Mxiwwm!! I don’t think this is an issue…..
makono ano anthu amaonelabe MBC TV? mene munayambil kund nyimbo zakunja, simugapage zot nawo amalawi aveke kujako. Kumagokhalil kukhomelelan bas, i hate dat! Kuwona zithunzi za MBC TV munthu utha kusanza! Im surprised that new tv stations are beating this public broadcaster big time which opened its doors some years ago. MTV, ZBS, CAN, TIMES, LUSO and JOY mmm guys mwabwera ndi quality pictures. That’s one of the reasons malawi isn’t going further, we love,love & love promoting outside stuff..
Pamene ndinali Ku South Africa…..Ndimkamvera ndi Kuonera Ma Wailesi awo akanema kumeneko…….Achina SABC 1 & 2….Ndi Ena koma Sindinaonereko olo kumvera Nyimbo za kwathu kuno Ku Malawi…..
Olo Ngakhale Oimba akwathu kuno amati akav/a S.A samatengedwa kumene kuja nanga nao ndi ma Celeb…Koma akumeneko akabwera kuno Eish!!!!!!!!! Gwaladi kumamuona nanga Njinga…..Why Always Malawi? kikikikiki malawi pakwao! Killing own hom industry ka. isnt tht song for africa?